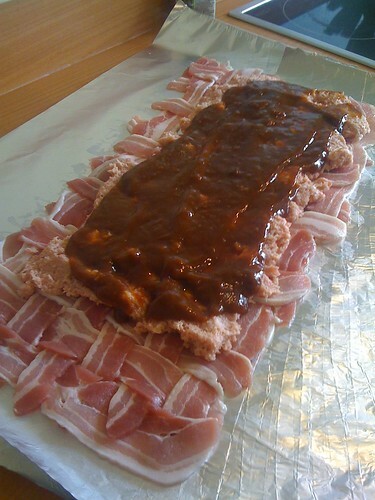 This entry was posted on Monday, July 5th, 2010 at 12:27 pm	and is filed under Epic Win, food, irishblogs. You can follow any responses to this entry through the RSS 2.0 feed. Both comments and pings are currently closed. 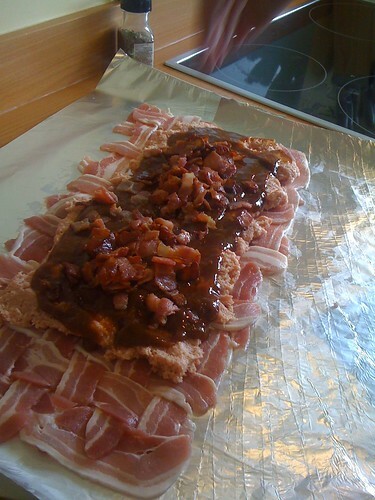 The quote at the bottom of the Wikipedia page is the best – “the dish tasted better than expected, but I didn’t learn the true meaning of the bacon explosion until the next day”. Where’s the pic of the finished product? Will somebody please think of the poor little piggies!!!! Nice one, Jonathon & Damien. 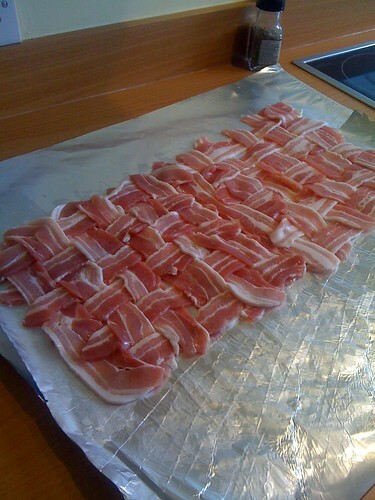 I’ve made a few of these on the smoker at home. 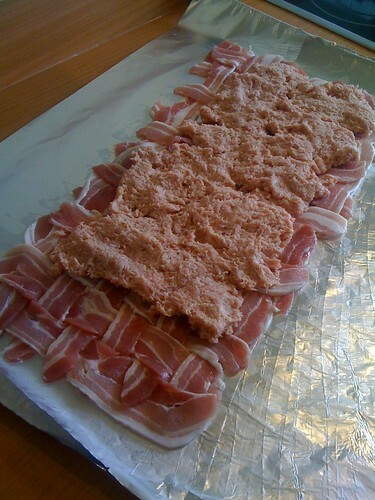 I’ve found that the trick is to roll the sausage meat and filling up first, leaving the bacon weave flat. 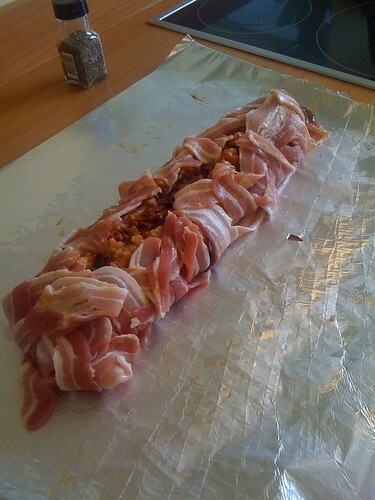 Then roll that ‘tube’ with the bacon weave. This will help seal the flavours and juices inside and make the whole thing easier to slice. Wow, meaty! How many did it feed? More than two I hope! This looks great! How did it taste?